A computer worm is a terrible piece of malware that you do not want on your computer. It replicates itself and gets into the operating system, spreading malicious code and other harmful malware. Worms rely on the network to copy itself from one computer to another, taking up resources, slowing down the system, and even deleting important files. 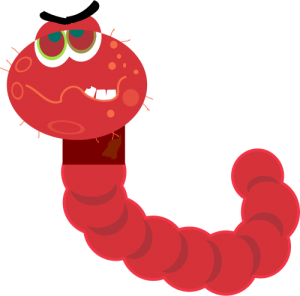 Worms are different than viruses, however. Worms use networks to replicate themselves, and don’t necessarily need the guidance of a human hacker. Viruses, for the most part, rely on their human master to execute their commands. If your network gets infected with worms or other malware, give us a call today to get your business malware-free and secured.